Email marketing is one of the most popular forms of online advertising. This is because it holds many distinct advantages. However, it does have some disadvantages as well. In this lesson we are going to look at those in order to gain some insight into how you can plan and execute an effective email marketing campaign. Which leads us to the next advantage, affordability. This is significant because there are many other types of marketing, including Internet marketing that are more expensive. The costs associated with email marketing is minimal, especially if you will already have a list of email recipients who are interested in your products and services, because there are no upfront costs associated with building a list. 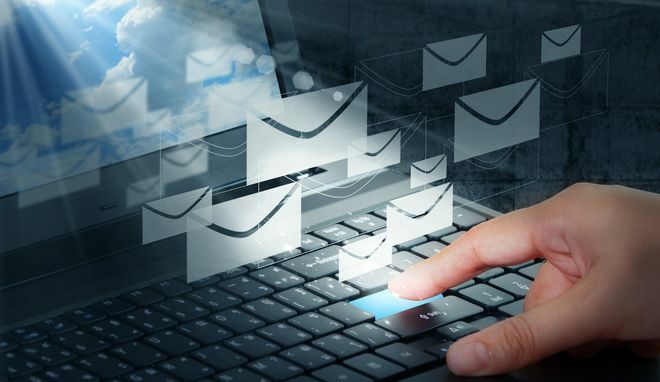 Additionally, the cost to send out email is small and can be easily incorporated into your regular operating costs. All of these factors make email marketing extremely cost effective. The content of the emails should also be carefully considered. They should certainly highlight the products and services you offer but should do so without appearing to be a hard sales pitch. A writer with experience in writing this type of copy should be able to assist you in providing insightful and accurate copy which also entices the reader to find out more about your products and services. Finally, your emails should provide the readers with a call to action. This should be a statement urging the reader to take a specific action such as making a purchase or researching a product. 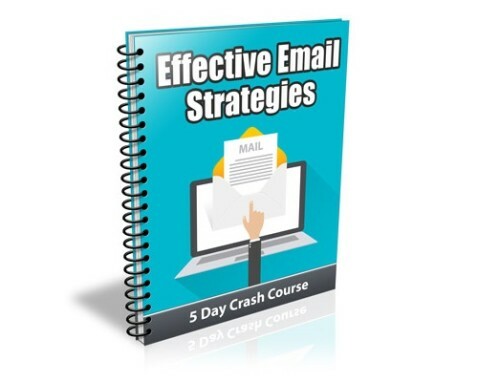 It’s time for your second lesson in the Effective Email Strategies Crash Course. I hope you found lesson one informative. In this lesson we are going to talk about how to reach your target audience with email marketing. Sending email to your list of subscribers is much more effective than sending out a mass email to recipients whose email addresses you purchased. This is because the group of email addresses you compiled all have an interest in the products or services you offer. On the other hand, aside from a few demographics there is no real information on the purchased list of emails to indicate whether or not the recipients will even have an interest in what you have to offer. Still another tip for reaching your target audience when email marketing is to keep your message simple. Being subtle is important so your email does not seem like a blatant sales pitch but it is also important to present your message in a clear and concise manner which will be easily understood by the members of your target audience. If you have any doubts your target audience will be able to understand your message, you can certainly leave information for the email recipients to contact you with your questions. This interaction can prove to be extremely useful. Through these communications you can learn about the needs of your target audience and how you can tailor your email marketing strategy to meet these needs. Finally, it is important to solicit feedback from your target audience to ensure you are meeting their needs with your email marketing campaign. This should be done on a continual basis as the needs of your target audience may change over time. When you solicit feedback from your target audience you should be sure to ask specific questions which require answers which can be interpreted easily. This is important because ability to interpret these answers will greatly impact your ability to further refine your email marketing efforts to conform to the expectations of your target audience members. Like any type of marketing, email involves a great deal of time and effort to ensure the campaign is effective. This is important because an ineffective marketing campaign of any type is a waste of money and resources. Spending time and money into an email campaign that isn’t reaching the members of your target audience and convincing then to take action such as making a purchase or visiting your website isn’t worthwhile. One of the most important aspects of marketing with email is to ensure your marketing is effectively reaching a highly targeted audience. One way to do this is to ask former and potential customers to join your email list. This will help to ensure the majority of subscribers will have an actual interest in your products or services you offer which makes it more likely to generate sales from your campaign than if you were marketing to a larger audience without an interest in your products. Another aspect of your campaigns is your content. Well written emails can give you a significant advantage over the competition. The quality of your content is a reflection on you and poorly written content with no substance won’t yield any results and even worse it will reflect poorly on your business. Your content should be written in a manner which will appeal to the target audience. If necessary, you should conduct market research to determine demographical information for your target audience. This research may also determine preferences the target audience may have for receiving marketing information. This may include the type of language used, the format of the emails, the layout of the emails and even aesthetic appearance of the emails. Paying attention to these details can make the email marketing campaign significantly more effective. The content you decide to include in your campaign is largely a matter of personal preference but there are some methods which have traditionally been more successful than others. Content such as articles, short useful tips, links to relevant websites, reviews for complementary products and even some subtle forms of advertising which are meant to persuade the recipients to take some form of action. For example, sending articles give you the opportunity to include information about your products or services in the copy of the email. This in itself can be a subtle form of advertising. Short product reviews can also be very useful because they can help attract a great deal of attention especially when the reviews focus on the products you offer and provide favorable reviews for these products. This type of information can either be subjective in nature or can remain objective by simply specifying the features of the products and offering other concrete pieces of information as opposed to opinions of the products. Whether you choose to do your marketing online or offline, one thing does not change. This is the concept that no single marketing strategy will be as effective as a combination of two or more marketing strategies. This doesn’t mean it’s necessary for you to implement every known marketing strategy to promote your business but rather it implies that it is worthwhile to market from a few different perspectives to help you achieve your business related goals. In this lesson we will examine the importance of combining email marketing with other types of marketing to create a successful; multi-tiered marketing strategy and will also offer some advice on managing more than one marketing strategy at once. As the old saying goes, “Two heads are better than one,” and this is certainly true when it comes to marketing. You may enjoy a great deal of success with email marketing but this does not mean you should not try other types of online marketing such as website creation, participation in industry related message boards, placing banner ads, orchestrating an affiliate marketing campaign and generating inbound links to your website. While it is possible that not all of these strategies will be effective for your business, you are likely to find at least one other option which complements your email marketing and helps you to achieve your business related goals. Alternately you may even wish to combine your email marketing campaign with more traditional marketing strategies such as radio ads, television ads and the print media. Just because these types of advertising do not take place online, does not mean they will not be able to help you generate more business. In fact, advertising both online and offline can allow you to reach a larger target audience. This is because you will likely reach Internet users around the world but can also reach potential customers who do not utilize the Internet for purchasing or researching products or services similar to the ones you offer. If you are planning to combine multiple forms of advertising, you should be aware that this can make it difficult for you to evaluate the effectiveness of each marketing strategy. This is especially true of the marketing strategies are implemented concurrently. When you are only using one type of marketing strategy, you can generally attribute increases in sales or website traffic to changes in the marketing strategy. However, when more than one type of marketing strategy is in effect, determining which strategy is producing the desired effect can be quite difficult. This situation can be handled by not making changes to more than one marketing strategy at a time. This will help to pinpoint which changes produce an increase in sales or website traffic. It can also help you to determine when changes to your marketing strategy have a detrimental effect on your sales and website traffic. However, if you are having difficulty determining which marketing strategy is most effective you can consider asking customers to answer survey questions and provide information such as how they learned about the products or services your business offers. Well, we have come to the final lesson in the Effective Email Strategies Crash Course. I sure hope you have enjoyed your lessons and learned some effective strategies that will help you run successful email campaigns. When it comes to email marketing it is very important to monitor the effectiveness of your campaigns to ensure they are producing the desired results. Continually evaluating the effectiveness of the email you send will help make sure that the campaign is working well and remains effective whenever changes are made to the marketing strategy. As we know email marketing can be a very cost effective way to advertise your business. However, there is time, energy and money involved in planning and executing any campaign. If the campaign isn’t producing results and there is no system in place to track, it’s effectiveness nothing can be done to make it more effective as a result your business is wasting resources by continuing to invest in the campaign when it’s not generating a solid ROI. It is important to regularly evaluate the effectiveness of your campaigns but it is even more important to set goals before you begin the process of evaluating your marketing efforts. This is important because without these goals it can be difficult to determine whether or not the email marketing efforts are effective. For example, your goal may be to increase the number of sales you make per month. Evaluating whether or not you are generating more sales each month is a fairly simple process. However, if your goal is to generate more interest in your products you would use website traffic as opposed to sales to evaluate the effectiveness of the email marketing campaign. Once you have determined how you intend to evaluate you progress you should be able to easily determine the effectiveness of your current email marketing strategy as long as this is the only marketing you are currently doing. This is because if you have more than one marketing strategy in use at once you cannot be sure which strategy is driving customers to make purchases or visit your website. When you take the time to evaluate your campaigns according to specific goals it is a good idea to refrain from using other types of marketing at the same time. This will help to prevent confusion about which type of marketing is producing the desired result. When it comes to evaluating the effectiveness of a campaign customer surveys can be a very important tool. Asking your site visitors how they heard about your products or services is an excellent way to determine whether or not your lead generation pages are enticing them to take the desired action such as joining your email list or more impotantanly making a purchase based on your email marketing efforts. Additionally, these surveys can be used to obtain more detailed information about the email recipient’s reaction to the email marketing campaign. Customers can provide valuable feedback about topics such as the layout and appearance of the email to the ease of readability of the content included in the email. All of this information can help you determine how to design future emails to achieve the desired result. Armed with this information you can create follow up emails which incorporate the resources that previous customers found useful and avoid the ones that were ineffective. This will help you tweak your campaigns for maximum effectiveness. As we close this final lesson I would like to thank you again for joining me for this short course. I sincerely hope that you have learned a few strategies that will help you run profitable campaigns for your business and just because your lessons have come to an end doesn’t mean that I will no longer be available. So please feel free to contact me if you have any questions. I will be very happy to help!